two peas & the dog: found. at the beach. 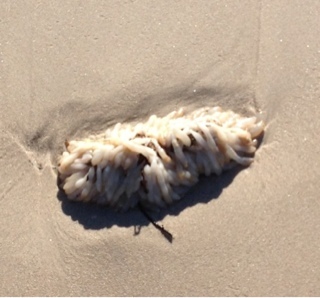 *Update from Tumblr* This is apparently squid eggs. Thanks, theimperiouspisces! What the hell is this? Jelly fish? Squid? Guess it and the answer that sounds the most convincing doesn't get this thing thrown at them.